The gap in demand between property investments in Manchester and property investments in London has become much narrower. 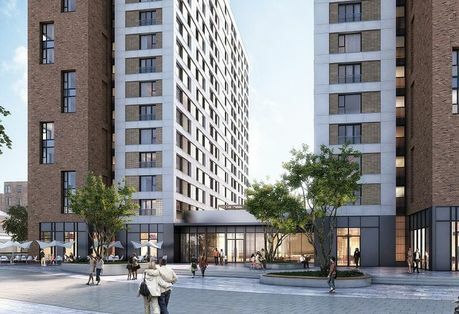 Rapid capital growth and strong net yields make Manchester one of the major UK buy-to-let hotspots, helped by a real focus on only granting planning permission to developments that benefit the city and its growing population. No1 Trafford is a great example. No1 Trafford sits on the Trafford Wharf regeneration, connecting Manchester city centre, MediaCityUK and Trafford Park. With a new metro link tram system already being constructed, the new public transport system is forecast to make commuting easier for over 1,300 businesses and bring many more to the city. 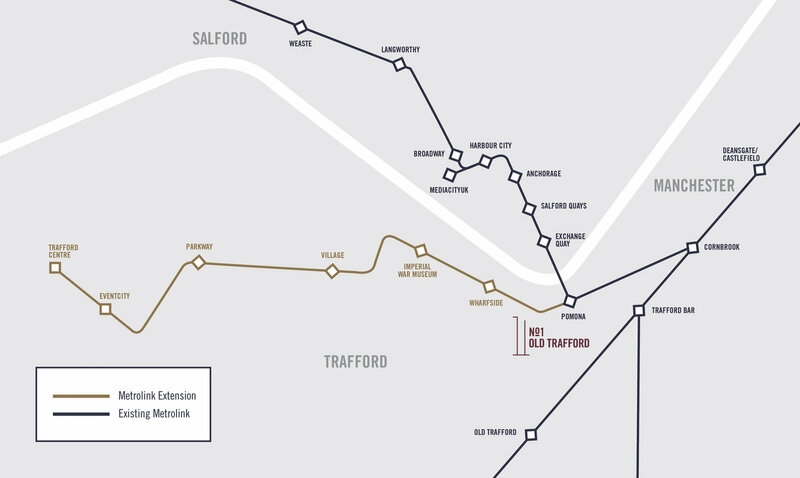 The metro link will connect the ever-popular Trafford Centre shopping district, which already welcomes over 31 million shoppers each year, MediaCityUK, the 200-acre property and business development and Manchester city centre, arguably the busiest UK city centre outside of London. Sitting between the existing Pomona tram station and the newly built Wharfside extension, No1 Trafford is in an enviable position to attract tenants from Manchester’s busiest professional areas. Overlooking the banks of the Manchester ship canal, No1 Trafford has an enviable amount of attractions on its doorsteps. From Manchester United’s Old Trafford football stadium, the incredible choice of restaurants on offer at MediaCityUK as well as the Lowry art gallery and Imperial War Museum North all within walking distance. The new metro link tram line also opens up opportunities for work and leisure, with a simple connection from Manchester city centre and the Trafford Centre. With spectacular waterfront views and commutable access for both leisure and work right on the doorstep, No1 Trafford offers un-rivalled opportunities for a complete residential buy-to-let property investment. No1 Trafford encompasses award-winning architects and a proven developer combining to create a high-end residential apartment block. Below you can see the detail involved within the construction. No1 Trafford is being constructed by some of one of the most respectable developers in the UK, Cole Waterhouse. No1 Trafford is due to complete in Q4 2019. We are proud to have an exclusive allocation of 10 one and two-bedroom apartments that you can only invest in through ourselves. Click here to find out more information on No1 Trafford and our exclusive allocation.